Well, its official. John and I are the world’s worst parents. Not only did we drag our kids half way around the world but we just let Hunter buy (and therefore ride) a moped. I’m not sure how this happened. It all began as a discussion about getting an electric bicycle and now he is the extremely proud owner of a, in my mind anyway, huge, gas fueled moped capable of going 140 km an hour. Although, Hunter assures me this is not actually the case. Only the speedometer goes to that high. Unless he upgrades the exhaust it will never go that fast. Needless to say, one of the many rules surrounding his moped use is that he absolutely cannot get the improved exhaust. While I accept the bad parent label in respect to the moped, I am not yet ready to concede that the expat experience has been bad for the boys. The word expat comes from the Latin: ex (out of) and Patria (country, fatherland). To me, if conjures up romantic visions of wild adventures, too much drinking and beautiful women. The stuff found in Henry James novels and Hemingway stories. With the occasional notable exception, the reality of expat living is quite different. You still have to buy toilet paper, prepare dinner and hound your kids to get their homework done. It can be tricky being virtually illiterate. And there are days when you can’t understand how anything works! It is a whole different world for kids too. Expat kids are often referred to as third culture kids (TCK). They are not part of the culture where they live and often haven’t lived in their passport country. On the pro side, TCKs are usually great at making friends fast and adapting to new situations. They get to learn about new cultures and visit lots of places. It is way easier to learn another language when it is all around you and have to hear and speak it everyday. On the con side, Jack says you never ask anyone where they come from, only “where were you last?” They do everything in groups. You never allow yourself a single best friend. You never know when someone will leave. Expat kids can have a hard time forming lasting relationships. TCKs seem to be tolerant and flexible. They’ve been outsiders and different, the new kid. They are empathetic. They tend to be concerned about what is happening in the world. They know people from the places in the news. Events become personal. 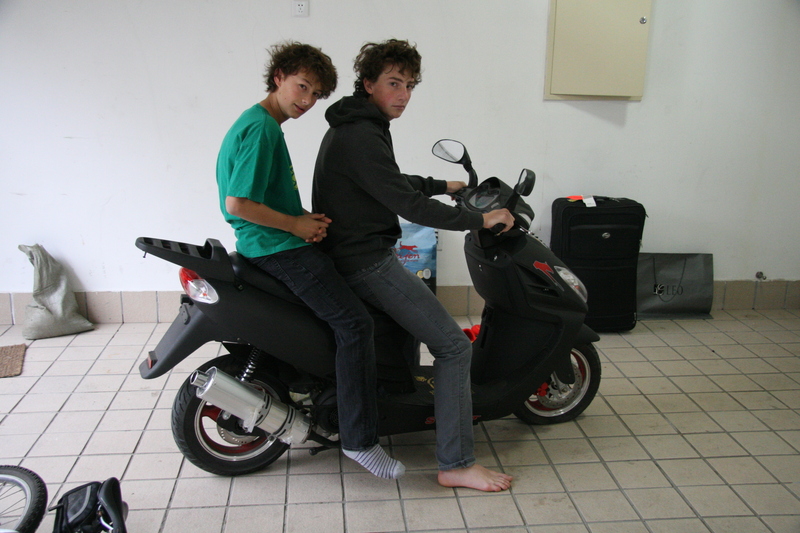 When Jack won’t pick up his phone late at night or Hunter rides off on his moped I am convinced all the people who told us we were nuts to ruin our children’s lives by moving them to China, knew what they were talking about. But when Jack can translate a sign from characters into English and Hunter can convince a cab driver, in Chinese, to take him home at 4:48 in the morning, I can’t help wonder, for just a moment, if we have done the right thing. Maybe we aren’t such bad parents after all. The last two sentences are amazing, you most definitely did the right thing.